This book brings together a huge range of material including academic articles, film scripts and interplanetary messages adrift on space probes with supporting commentary to clarify their imporatance to the field. 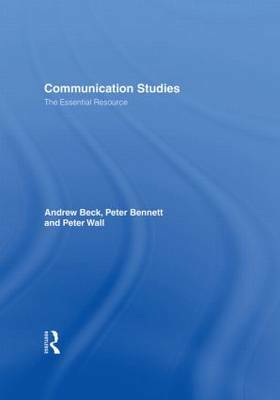 Communication Studies: The Essential Resource is a collection of essays and texts for all those studying communication at university and pre-university level. * debates and controversies in communication. * a comprehensive bibliography with web resources.